The North Dial is now fully visible after the surrounding scaffolding was removed and its hands and numbers appear to have changed colour. Scotland Yard said the driver, a man in his twenties, was arrested at the scene by armed officers on suspicion of terrorist offences. A man detained after a suspected terror attack outside Parliament has been further arrested on suspicion of attempted murder. Ministers are urging a major renovation programme at a cost of around £3.5 billion to be brought forward as a matter of urgency. 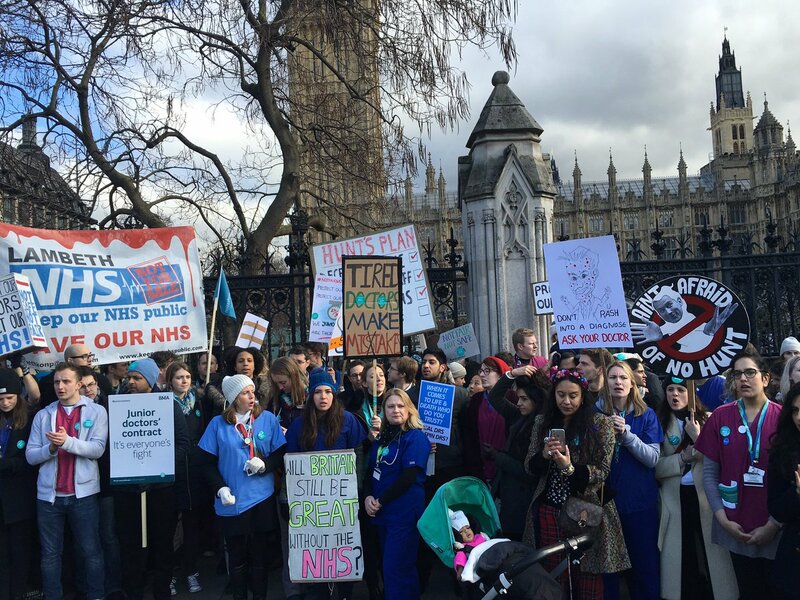 Junior doctors have formed a picket line to protest outside the Houses of Parliament. Prime Ministers Questions has just finished in the Commons without any mention of the junior doctors' strike. Work to renovate the crumbling Houses of Parliament could see MPs temporarily move out of their historic home. The House of Lords will investigate how three protesters were able to get around parliamentary security to protest during the visit of Canadian Prime Minister Stephen Harper, a spokesman said. Three protesters were detained at 12 noon today by parliamentary security staff while trying to access non-public rooms in Parliament. They attempted to protest during the prime minister of Canada's visit to Parliament. The business of Parliament was unaffected. A full investigation is under way. – House of Lords' spokesman. Activists demonstrating during Canadian prime minister Stephen Harper's visit to Parliament have been arrested. Scotland Yard said three people were arrested after a protest at the Sovereign's Entrance. Environmental campaigners against "tar sands", a form of fuel which produces more emissions than conventional oil, have posted a video showing them on the roof of Parliament, with a statement saying they wanted to disrupt the premier's address to MPs and peers. We have entered Parliament to interrupt Harper's speech. We have managed to climb onto the roof with t-shirts saying 'oil out of politics', 'stop Harper' and 'stop the tar sands'. Two campaigners have spilled molasses on the floor outside of Parliament. – The "Love Canada Hate Tar Sands" website. Shortly before Mr Harper's speech the doors slammed shut on the robing room, where the Queen puts on the Imperial State Crown and her ceremonial robes for the state opening of Parliament, and shouting was heard. Baroness Thatcher's coffin lies in a chapel in Parliament, draped in the Union flag with a message saying 'Beloved Mother - Always in our Heart'. There will be a service for MPs, peers and parliamentary staff before her funeral. A message that reads 'Beloved Mother - Always in our Hearts' is on top of the coffin. Her body will rest in the chapel until her funeral tomorrow. 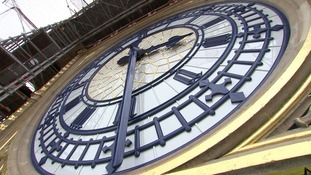 Commons speaker John Bercow has announced that the bells of Big Ben and the Great Clock at Westminster are to be silenced during the funeral of Baroness Thatcher on Wednesday. The House of Commons authorities has said the last time the bells were silenced were for Winston Churchill's funeral in 1965, except in the 1970s when they broke down.